Synopsis: Greetings! Early spoilers from lordcloudx fail translations at your service. Hayate: This is really dangerous ain't it? These blades? Hisui: So what? This is a life and death struggle, isn't it? Hisui: You've gotta be prepared to put your life on the line if you stand against me. Hayate: You've gotta be kidding me. How is this kid moving like this? 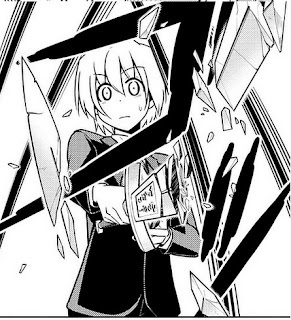 Hayate: b-but if you kill me then you'll never know where I hid the stone, right? Hisui: My friggin huge snake eyeballs can see that you hid it in your right pocket. Hisui: You dun get, do ya? Hisui: I knew everything from the start. Hisui: All your efforts were for nothing. I knew from the start. I knew from the start. Hisui: I can see everything from the start. Hisui: Now, now... pass me dat stone. Housen: Ah, Hisui Hisui... as expected, you're really the best eh? 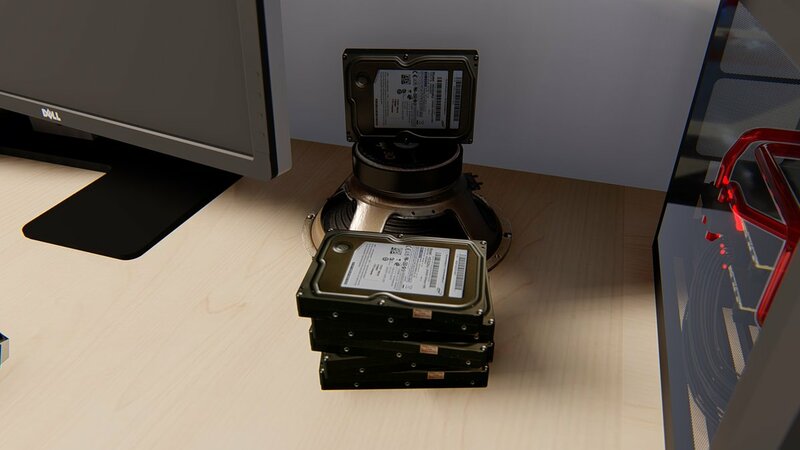 Housen: Seems it'll take a while, so time to take out the trash eh? Housen: Well then, by your leave. Athena: Go easy on me huh? Isumi: Nice, a direct hit. Isumi: I am honored by your kind words, princess... now then... please turn back to gold, King Midas' Daughter. Hisui: Hahaha! This has really turned into the last battle! Hayate: Stop saying that! We need to get out of here! Hayate: Aren't you afraid of anything? Hisui: If you're afraid of such a thing, then you'll never be like the king. Hisui: Yes, someone as empty as you could never appreciate it. Where did he pick up another sword from anyway? Hisui: Someone with no desires who lives as wrongly as you! Hisui: Wishes make people stronger! Hopes shape the future! Hisui: This power is the shape of my wish! Hisui: So know this... I am the chosen one! Hayate: In this situation, the fight won't stop. Hayate: This is game over, isn't it? Athena: Fudge... you're not gonna hold back, are you? Isumi: You're pretty strong, huh? Housen: She can't beat Hayate Ayasaki. Housen: Hello, this is Housen. Review: Gotta be honest, I was cheering for Hisui all the way during this chapter -- and she certainly delivered. 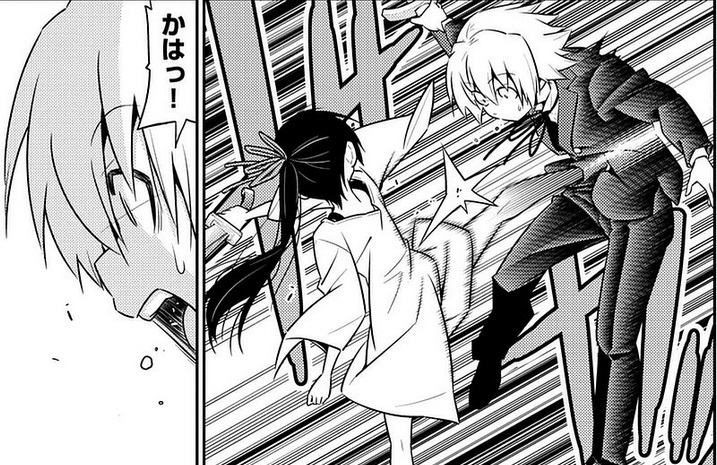 I like how she beat Hayate up both physically and emotionally. It seems the emotional blow didn't quite get to him yet, but I'm sure he'll start thinking about what she said pretty soon. Isumi: Can I have my revenge match now? 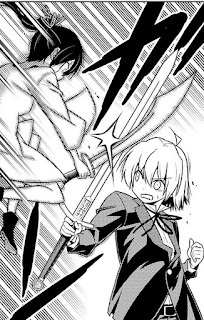 I'm also glad to see that Hisui is super competent in combat -- which would explain her bravado in the previous chapter. 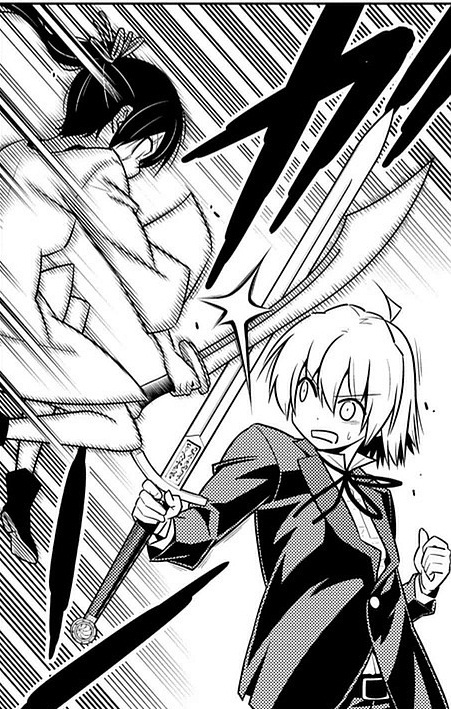 Unfortunately, as Housen pointed out, she can only fight Hayate to a standstill. It seems she can't beat him. Housen herself admits to being at a disadvantage against Isumi and a quickly recovering Athena... because somehow, Isumi will win... lol! Anyway, Isumi casually confirmed that Housen is indeed Midas' daughter. I'm sure Hata will explain that away at some point. 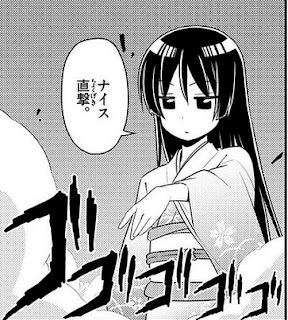 While it was nice to see Isumi finally get her revenge match, the highlight of this chapter was really Hisui (again) being effin crazy and actually talking more sense than Hayate -- who was once again his passive, wishy-washy self this entire chapter. Gotta tell ya (again), I enjoyed watching Hisui beat him up and I hope there's more to come. 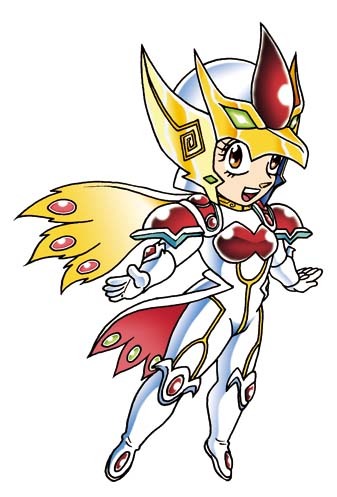 I have exactly one guess as to who Housen is calling up: Princess God. Ok, really exciting chapter, but not much to discuss... yet. This is really shaping up to be the final arc alrighty, but there's still a lot left to be resolved. I also feel that both Housen and Hisui will turn out to be not so bad once everything is over. As a side note, vol. 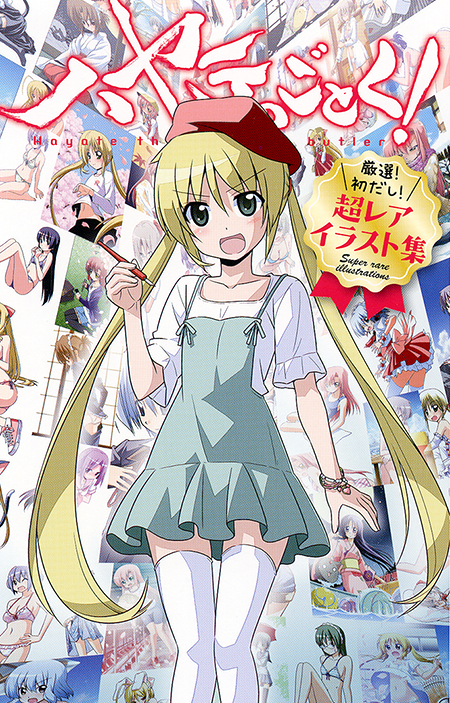 49 of Hayate is out. Imma buyin it coz mai waifu is in it... even if she's not the cover girl this time. That honor goes to Maria. Go buy eet and support Hata if ya can! By the way, Doughnut Gunso has mentioned that Hisui is not a "flat character" -- I beg to disagree... her chest is flatter than Nagi's...lol! Anyway, no break next week so see you then! Fanart Corner: I have one today. It's actually an old sketch that I've finally had time to digitally color recently. Also, I'm not sure about the old Mikado. He is also up to something, and has a face which reminds me something.... Some old-old statue from the beginning of the story? Hayate thinks that getting Nagi the inheritance will ensure her happiness -- flawed logic from him. Anyway, Hayate obviously wants a romantic relationship. That's been his nagging desire since forever. I somehow think it's Nagi's turn to be more serious and grownup. Hayate is yet to acknowledge her growth. Then he might fall for him. As a Nagi- shipper I don't want a open ending about ending up with Hayate. 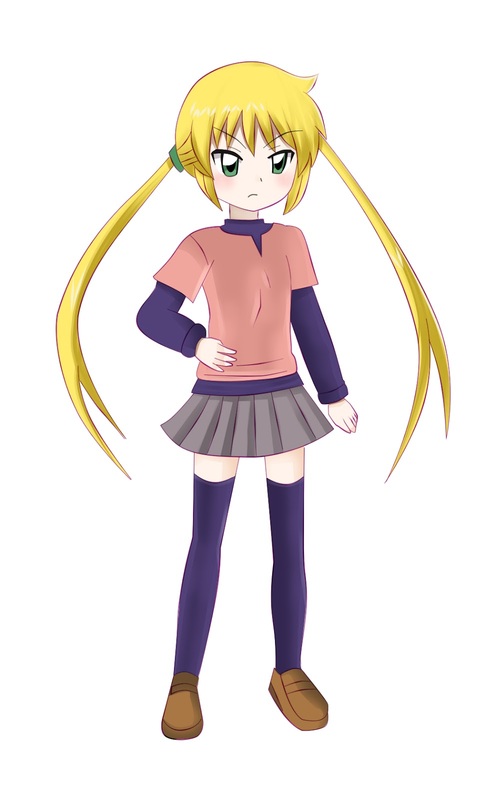 I'm somehow sure Athena will not intrude as Hayate already chose Nagi over her. -She is tsundere but she has now openly admitted to being in love with Hayate to Chiharu when she got called out. These may be little things but they are surely signs of her maturity. Meanwhile, what has Hayate done? He's batting zero on character development so far. So yes, I agree that Hayate needs to acknowledge Nagi's growth, but it's him who needs to grow up and not her. Hayate gained some people whom he really can rely on too. Yes he hasn't changed but I don't think he had someone to protect previously. He normally fought for himself but protecting someone belongingto that much society boost up his responsibilities too. He can start anew after settling his debt to Athena. However I like the understanding he has with Nagi where Hina can seldom control herself with Hayate's foolishness.